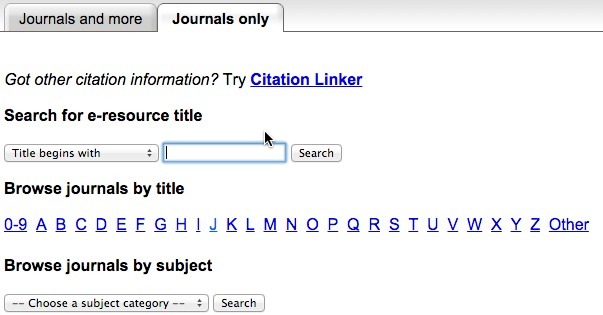 How do I search for journal articles? - Ask Us! Q. How do I search for journal articles? The way you search for journal articles will depend on what you know about the article you're looking for. Do I know all the information about the article (title, journal title, volume issue, etc.)? ; or do I just have a subject/topic I want to explore? If you know all the information go to the Journals A-Z link. Type the title of the journal. The results provide databases that include the full-text of the journal. Select the database(s) that include the year you are looking for. Navigate to the appropriate volume, issue, and page number. To explore a particular topic, select a Database to search. Different databases index different journals. You may choose to search a general database such as JEWL or Academic Search Premier to get started.